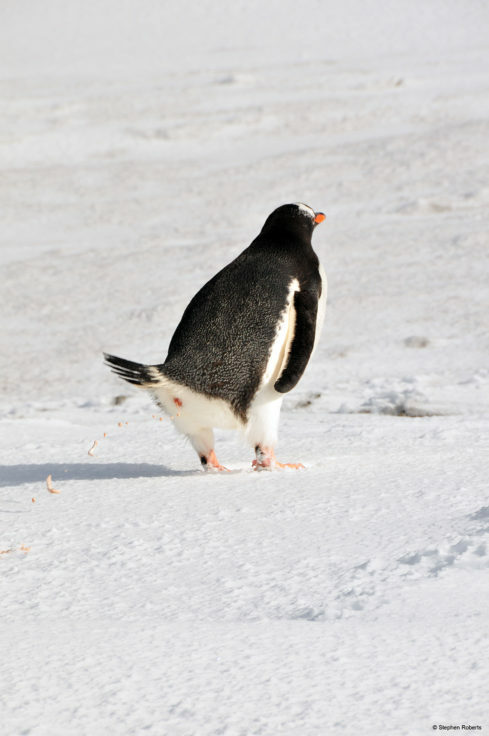 One of the largest colonies of gentoo penguins in Antarctica was decimated by volcanic eruptions several times during the last 7,000 years according to a new study. 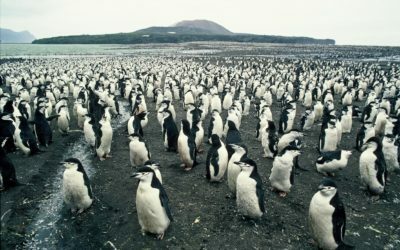 An international team of researchers, led by British Antarctic Survey (BAS), studied ancient penguin guano and found the colony came close to extinction several times due to ash fall from the nearby Deception Island volcano. Their results are published today (Tuesday 11 April) in Nature Communications. 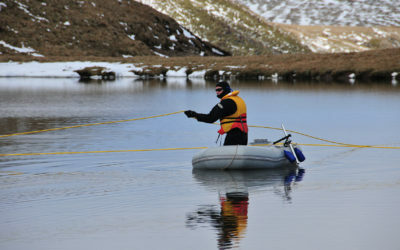 Ardley Island, near the Antarctic Peninsula, is currently home to a population of around 5,000 pairs of gentoo penguins. Using new chemical analyses of penguin guano extracted in sediment cores from a lake on the island, the researchers unraveled the history of the penguin colony. 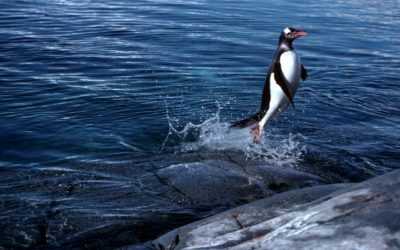 Climate conditions around Ardley Island have been generally favourable for penguins over the last 7,000 years and the team had expected the local population to show minor fluctuations in response to changes in climate or sea ice. 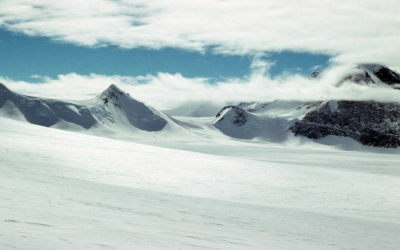 The surprising result was that the nearby Deception Island volcano had a far greater impact than originally anticipated. 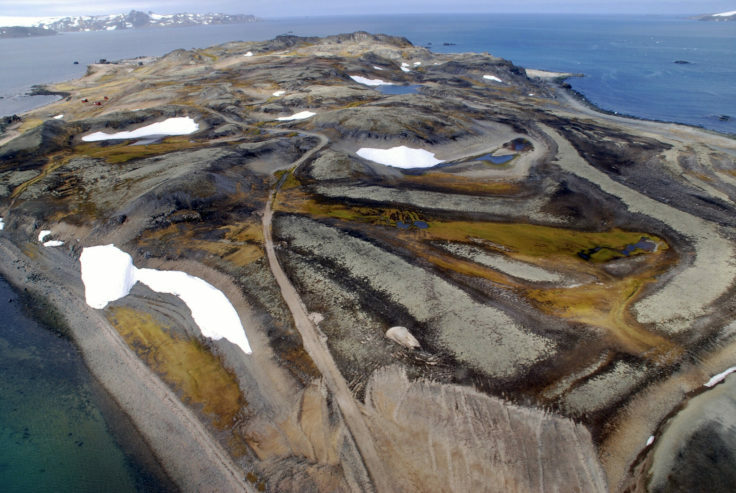 An aerial view of Ardley Island in the South Shetland Islands, taken during the helicopter trip to the study site. Ardley Lake is in the top-centre of the picture. Photo by Steve Roberts. 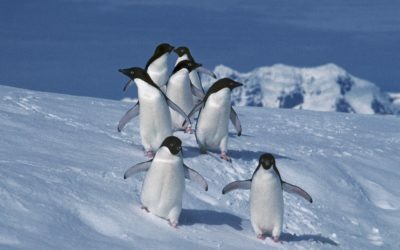 “The techniques developed in this study will help scientists to reconstruct past changes in colony size and potentially predict how other penguin populations may be affected elsewhere. For example, the chinstrap penguins on Zavodovski Island, which were disturbed by eruptions from the Mt Curry volcano in 2016. This study forms part of our ongoing research projects at BAS and is part of our contribution to the international EU-funded IMCONET research program, which is interdisciplinary research network aiming to understand the consequences of Climate Change in coastal Western Antarctica. Past penguin colony responses to explosive volcanism on the Antarctic Peninsula by Stephen Roberts, Patrick Monien, Louise Foster, Julia Loftfield, Emma Hocking, Bernhard Schnetger, Emma Pearson, Steve Juggins, Peter Fretwell, Louise Ireland, Ryszard Ochyra, Anna Haworth, Claire Allen, Steven Moreton, Sarah Davies, Hans-Jürgen Brumsack, Michael J. Bentley, Dominic A. Hodgson is published in Nature Communications on 11 April 2017. Read the paper here doi: 10.1038/ncomms14914.